An international street arts festival, renowned for its innovative and highly acclaimed theatre events and street artists from around the world. 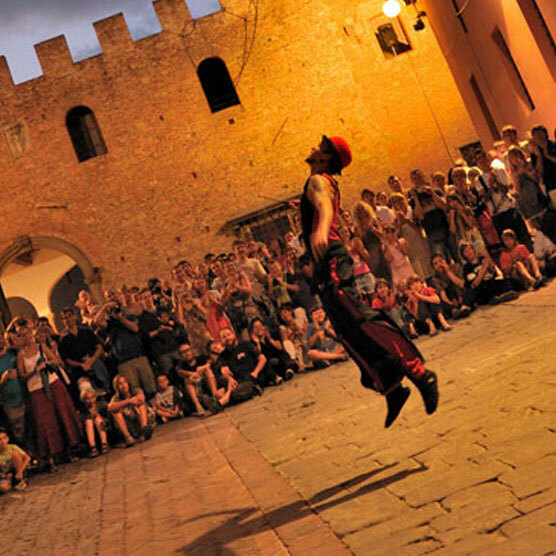 Come and see how the alleyways of the picturesque hillside town of Certaldo Alto are transformed into a live stage: a performance of dance theatre is on one corner, ballet on another, and classical music and prose on yet another. There is a market with all kinds of culinary delights and antique stalls just a few metres further on. A feast for all the senses!